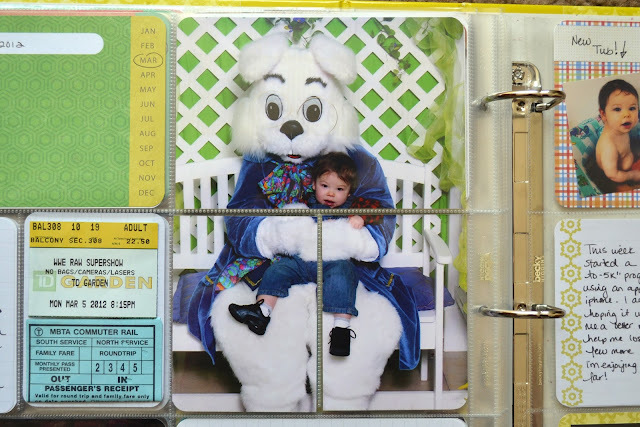 You can see, I took the photo of Austin with the Easter Bunny, blew it up, and split it between three pockets on the page protector. I used Photoshop Elements to crop it to 6" width by 8" height, and then I cropped that in half, so that I had two 4x6 sized prints. I just chopped the bottom print in half with my paper trimmer so that it would fit in the two 3x4 pockets. I don't like to do this with many photos. In fact, I haven't yet in my regular Project Life albums, but the prints I'd purchased when we had them taken were odd sizes, and wouldn't fit in a normal pocket, since they were vertical. Rather than shrinking the photo to fit in a 3x4 pocket, I decided to test out enlarging it like this, and I rather like the outcome! 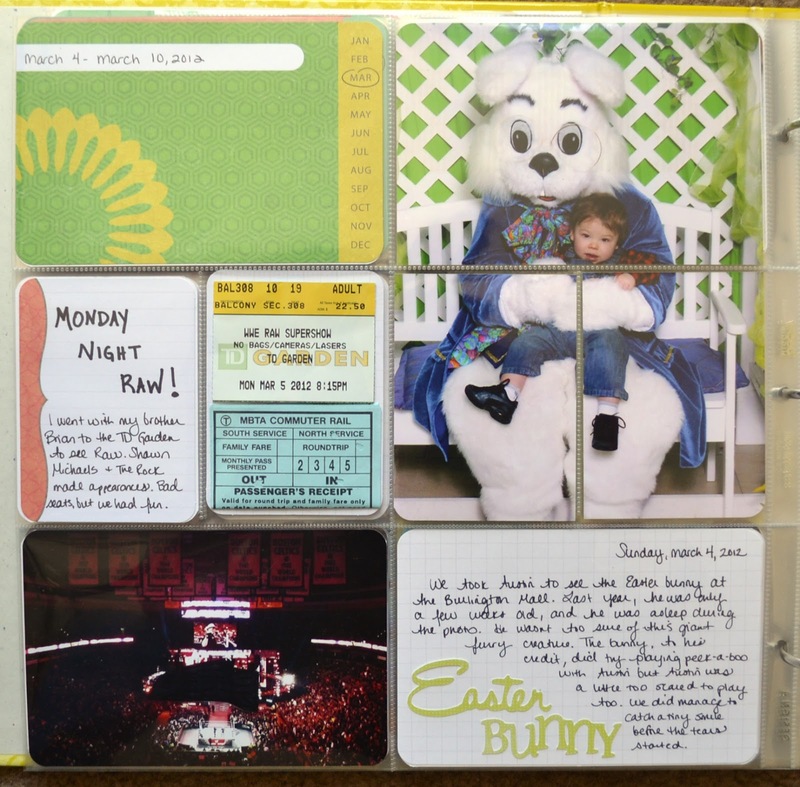 I used my Slice to cut out "Easter Bunny" words from scrapbook paper, and attached them to one of my 4x6 grid card freebies. Finally, the coolest thing ever. I saw this pin on Pinterest this past week and just had to try it out. See that QR code in the corner of the photo? If you scan it with a barcode scanner (like ScanLife) on your phone, it links to a video of Austin stacking his rings. I added the video I took to my YouTube account, and created a QR code using the link. The website I used to create the code was this one, but there are several out there. 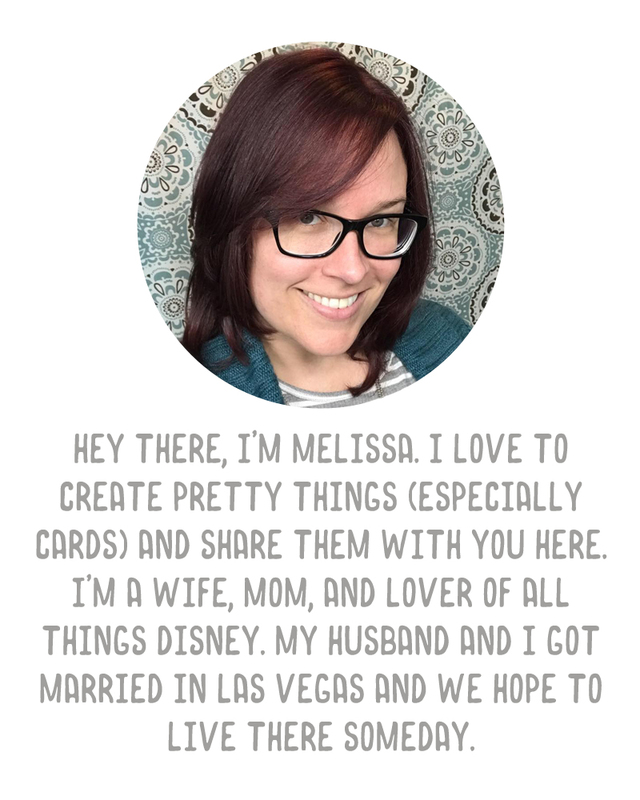 I just saved the image to my computer, and added it to a blank 4x6 file in PSE so I could send it to Walgreens and print it with my weekly prints. Ok, that's it for this week. 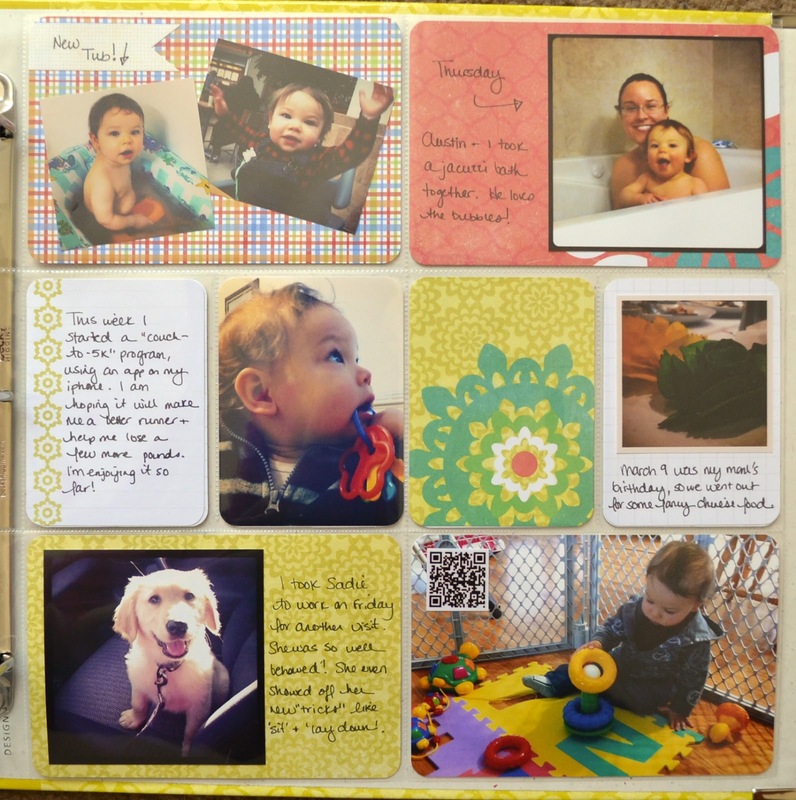 Be sure to stop by The Mom Creative and check out everyone else's layouts. 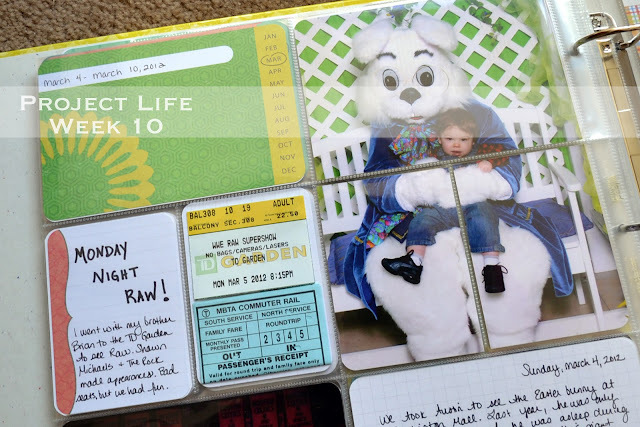 I love how you incorporated the Easter Bunny photo. What a neat add on with the code for the video! Thanks! :) I have a feeling we won't be able to get a bunny photo next year. He was definitely a little afraid of him this year. 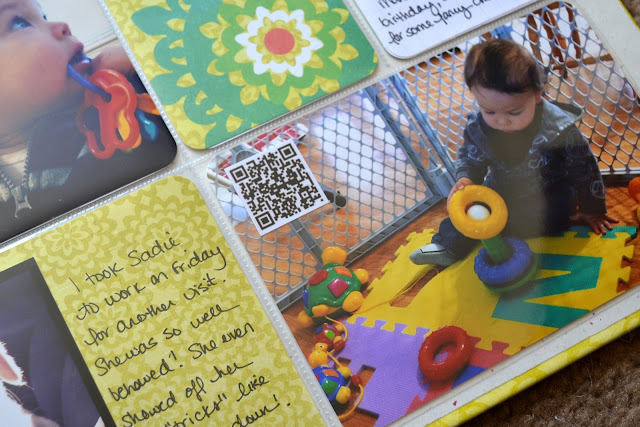 What an awesome idea, to add a QR code to the page! Dustin and I have talked about how silly QR codes are, but this is perhaps the best reason to use a QR code! So cool. I'm torn between thinking they're silly and thinking that they're cool, I think it depends on what it's linking to. I like the ones that link to an app, just for ease of finding it. We were thinking the same way this week! I had to try out the QR code idea too after seeing that Disney World album. Such a cool trick, isn't it?? Totally fun! I am excited about it! LOVE the Easter bunny photo! I want to enlarge a photo like that, but I've yet to do it! Yours looks wonderful! Very inspiring! Wonderful week! Love the photo over several pockets. It really works for that Easter Bunny photo! 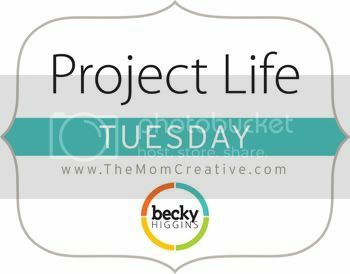 Between the bunny pics and the video, best Project life week ever! 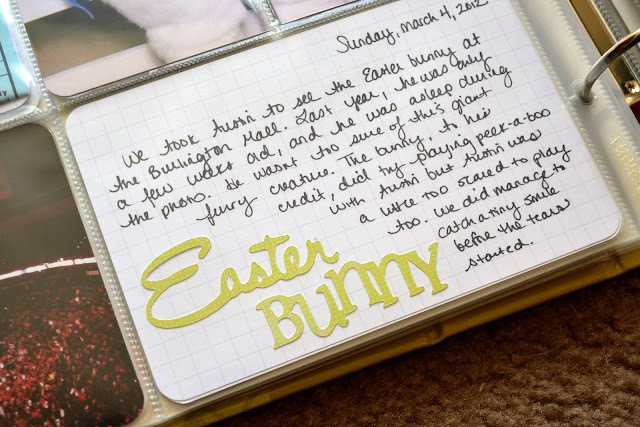 How fun to visit the Easter bunny and I never tire of look at your puppy pictures. It's great you can take her to work. A lot of people do that here too. My co-worker currently as a German Shepard puppy she brings daily and we all can't get enough of him. I want to cry right now, that is the most amazing thing I have ever seen! really! I'm so in love with this idea I can't wait for my iphone ( i have about 100 days, but whose counting!) ahhhhh! so cool! thanks for sharing! I too used a larger photo and cut it apart this week there is just something about it that is wonderful...I had never seen the video thing before today, so fun! Oooh! Love that spread, April!